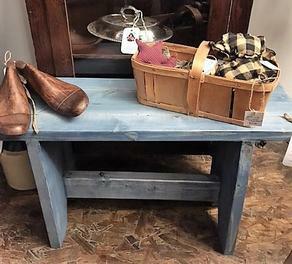 Now available - handmade farmhouse benches! We stained this solid little beauty with a weathered navy then poly coated the top. More sizes / finishes to come!